Our Roller Conveyors for Pallets are specially prepared for the direct perfection in protection for conveying the huge heavy pallets materials. We give this conveyor in nominal costs so it gradually reduces the extra cost of pallet transmitting for clients. 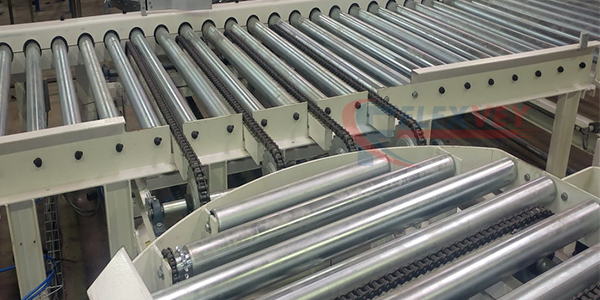 More customers are mainly availing this roller conveyor because this functioned to convey the pallets in continues form for longer time without any problems. Additionally our roller conveyor avoids the truck arrangements too.